* Vehicle images and descriptions on this site are for illustration and reference purposes only and are not necessarily an accurate representation of the vehicle on offer. All quotations are correct at the time of being published but are subject to change at any time without notification. 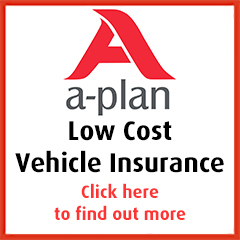 We supply all makes and models of cars and vans on contract hire and leasing deals with delivery in England, Scotland, Wales and Northern Ireland - delivery charges may apply. Vehicles listed as being in stock are available subject to availability at the time of order and can be sold at any time without notice. All makes and models of cars and vans are available including but not limited to Abarth, Alfa Romeo, Alpina, Aston Martin, Audi, Bentley, BMW, Citroen, Dacia, DS, Ferrari, Fiat, Ford, Great Wall, Honda, Hyundai, Infiniti, Isuzu, Iveco, Jaguar, Jeep, Kia, Lamborghini, Land Rover, LDV, Lexus, Lotus, Maserati, Mazda, McLaren, Mercedes-Benz, MG, MINI, Mitsubishi, Morgan, Nissan, Peugeot, Porsche, Renault, Rolls Royce, SEAT, Skoda, Smart, SsangYong, Subaru, Suzuki, Tesla, Toyota, Vauxhall, Volkswagen and Volvo. CONTRACT HIRE - WILL THE VEHICLE BECOME YOURS? You will never own the vehicle. At the end of the agreement, arrangements will be made to collect the vehicle.